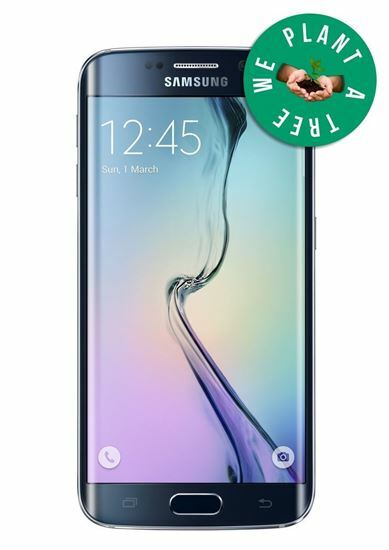 The Samsung Galaxy S6 Edge is designed for the way you live, giving you access to most U.S. GSM and CDMA networks like Verizon, Sprint, T-Mobile, AT&T, Metro PCs, Cricket, Boost and most prepaid carriers. The GSM unlocked Samsung S6 Edge is perfect for international travel from Canada to Dubai. And when you vacation, take it easy--bring on the spills, splashes, and dunks! You no longer need to put your phone in a bowl of rice because of a little water. Screens and LCD displays will show signs of use; they will have hairline scratches or marks that will not inhibit the visibility of the screen. The Samsung S6 Edge allows you to take as many photos as you need. Running out of memory is no longer an issue, if the 32GB isn’t enough, you can add up to 256GB with a micro SD card--no clouds or hard drives necessary. The built-in wireless charging allows you to take charge of your time. Your battery can charge from 0% to fully charged and remain charged for longer. You also have the advantage of Samsung Pay, the first mobile payment that’s accepted almost anywhere you can swipe or tap your card. Whenever you purchase a device with the RepairXperts, we plant a tree with the National Forest Foundation. Save money, recycle and plant with the RepairXperts!